Live biological cell. Height was image obtained with Atomic Force Microscope (AFM). 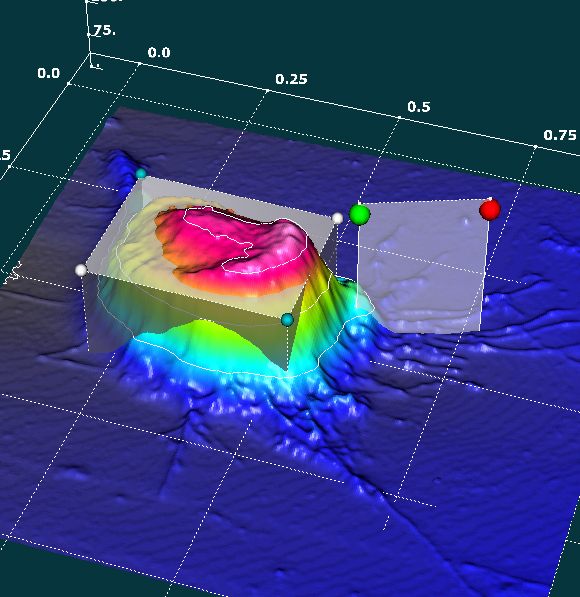 3D surface constructed with ScienceGL software. Interactive measurement tools are presented as Volume semitransparent cube and intersection cut plane.